For this review, you may wonder why I’m looking at RPG Kickstarters from Italy and Turkey of all country combinations? Normally, when I do a list of Kickstarters by location, the location is my state, Georgia. But for this post, the answer to why Italy would be weight of numbers. There are five from Italy that are currently running (making that nation an RPG Kickstarter rival for Canada [4 KSs as of this writing] and the UK [6 KSs as of this writing]). As well, the individuals behind Svilland (from Turkey) have been exceptionally nice and I wanted to ensure a space for their Kickstarter, so Italy and Turkey it is. Ends on Sat, September 15 2018 2:01 PM EDT. You stand on the brink of the Apocalypse. The Demon Lord, an entity of incalculable power blights the lands with cursed evil, madness and slaughter. The dreadful beings let loose by the Demon Lord reflects this being’s nightmarish essence, the touch of its shadow and its insatiable hunger for all things. Although the Demon Lord remains outside the mortal view, every new horror connected to him arises from the dirt and bring destruction and new death, also weakening little by little his planar prison, unchaining the constraints that are preventing him to escape the Void and bring catastrophic destruction to the world. Robert Schwalb create a world facing the total annihilation, its lands torn asunder by war, plague, and ancient horrors. Urth, the world of Shadow of the Demon Lord, is one of many imperiled by the shadowy menace lurking without and in this game you can play through its final days as embattled survivors fighting against what to many seems to be an inevitable end. A complete role playing game in one book, Shadow of the Demon Lord contains everything you need to create characters to confront the hordes of demons spilling in from the Void and to create and play through exciting stories steeped in horror and violence. To make this happen, the game system is easy to learn, plays fast, and requires little preparation to play. All these ensure both novice and veteran players can enjoy the game together. The benefit of short campaigns lets you tell more stories, create more characters, and experience more of the game’s options than other game before. As a player, you are encouraged to play several heroes, trying the potential of the path’s engine to create incredible flexible characters. And, as a Game Master, you can run a complete campaign in lesser time than usual, introducing new ideas, places and horrors every time. The horror is perfect when is narrated in short stories, full of madness and fear. These are the only stories that thrive you at night and remain in your memories for long time. BlackStar is a whole new game line based on Shadow of the Demon Lord RPG, originally designed and created by Robert Schwalb. Death & Decay, our first release, will depict and introduce new monsters and develop exciting new ways to add fun and terror to the creatures you already know. It will be an immersive, dark fantasy supplement, that gives players and GMs alike new resources for their gaming sessions. You will find plenty of undead out there ready to drain your last breath, coming from the Underworld itself or from the haunting darker places scattered through Urth. 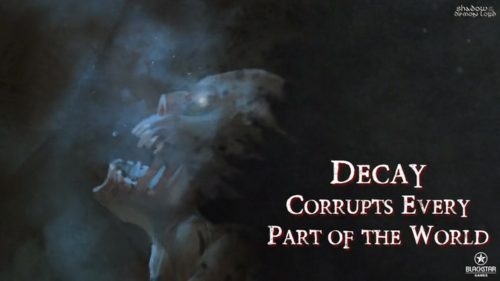 The Creature Codex will be a 128 pages book that describes monsters of undeath, creatures of decay and lurking horrors. It presents many classical monsters revisited with new game options that can bring new excitement to your sessions, as well as plenty of new undead monsters of all types. • Presences: Infested dolls, whispers in the night, echoes of battles, doomed crypts and ghost ships! All of these entities can be found all around Urth. Infestations, apparitions, geists and malevolentes, all can be suppressed or banished forever. The task can be easy or hard, but presences might damn you for life. They can come back with renewed strength to drag you to the grave, corrupt your soul or lure you to the edge of insanity. Destroying them or survive can be the goal of an entire campaign. Death can be the minor evil. • Spirits: Spirits or incorporeal undead are a simple form of monsters that cannot follow the cycle of life and death on Urth. They nurture the evil in others and feed on the anguish they create in their victims, the sorrow they cause, the evil they plant, all to feed the Demon Lord and unchain him. Spectral beings and ghosts, shadows in the mists or wraiths can appear everywhere, in lost cairns or abandoned tombs, in attics or cellars, in ancient forests or in the crypt of an important church to carry victims with them and bring, as well, survivors to death in a slow agony for the madness they caused. Spirits alter the land they haunt, so be aware that banish a tortured soul from the living world can be the most terrific experience you may have in your entire life. • Corpses: Animated corpses, zombies, bone constructs, risen and others corporeal beings are the flesh of the hate that the demon lord feel toward the worlds of the livings. This contaminated corpses are risen by his foul cultists to generate waves of destruction, or they rise up by themselves to claim vengeance upon the mortals. Whatever the case, they are unstoppable, and their force can grow more than you can imagine in hordes capable of spread death and burning evil behind them. • Nightmares: Not sure if they are undead or dead at all, nightmares are the immortal visions of thousand mad minds and foul dreamers. A nightmare created lives in a limbo of nonexistence. However, their corruption and insanity can open the gates, and they will haunt dreams during the night; pervade the mind of anyone corrupted or mad so to overwhelm him by supernatural horrors. That said, be aware that your corrupted soul can strive you more than you have imagined until now. And if you want more, be sure to support Death & Decay campaign. With your help, more creepy things will rise from the Void in Death & Decay, new forms of undead never seen before. We will investigate through the nature of Urth to find plants, malefic fungi and vermins that can cause decay to the living, or supernatural horrors from the Underworld and the Void. And of course, new players and GMs supplements, villains and adventures, and so on. Blackstar Games: BlackStar Games is the new international label from WMS Publishing, licensee of Robert Schwalb’ Shadow of the Demon Lord RPG line. We apply our passion and creativity to bring you whole new levels of imagination. We believe RPGs are a way to forge together creativity, art and design to create a new form of communication. You can visit our facebook Page: BlackStar Games and our site pages on www.hbdragongames. Blackstar: Death & Decay Creature Codex expands on the Shadow of the Demon Lord RPG with third party support. New monsters are always welcome in any fantasy game and Blackstar: Death & Decay Creature Codex provides that with its new line for Shadow of the Demon Lord. This is the second article I’ve done today featuring a SotDL product, the first being Mike Myler’s Eastern Fantasy Adventures (read my interview with Mike on ENWorld here). When I talk to friends, I hear more and more about SotDL so it’s time to bring that to the gaming table. Ends on Sun, September 16 2018 6:00 PM EDT. There’s a staircase facing the party. A few steps ahead, a mighty roar that would frighten even the bravest. Is it dread what you feel? No, it’s adrenaline. You’re ready to take on whatever awaits you. You climb the stairs and you’re on stage. Your instruments are ready, the crowd is growling. 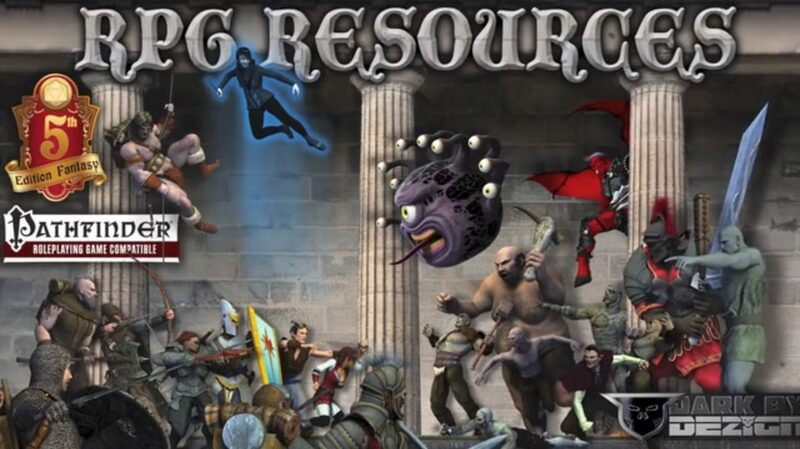 Rockopolis RPG (Rock Playing Gods) is an awesome role playing game where the stage will be your dungeon. You will face rival bands instead of goblins and trolls. Your instruments, voice and stage appearance will be your weapons. Your spells? Your ROCK songs! Every artist has their inspiring Muse. But what if the Muse acted like a Demon, forcing you towards an abyss of behaviors that go far over the “antisocial” definition? Your Muse will be the surge of your music, your inspiration, your art, your ROCK! But will be the origin of each of all your troubles, too. Rockopolis RPG is set in the real world, in the socio-cultural underground of emerging Rock bands. During the ascent to fame, characters will meet some of the most (in)famous bands of the Rock underground (and they will probably clash!). Will they succeed in achieving international fame or will they fall into the Abyss of anonymity? Rockopolis RPG uses a special D6 system, specifically devised to be fast and fun, characteristics that blend well with the Rock spirit of the setting. Moreover, ad hoc rules have been created in order to make the best experience of “playing live on stage” and the management of the “inspiring Muse”. In Rockopolis RPG, the purpose will be to balance the inner demons called Muse with the goal of becoming the greatest Legends of the Stage. Its UNIQUE On Stage rules will allow you the fantastic experience of playing on a stage like a real Band, joining your forces to get the Applauses you deserve. Be careful: Boos are always a chance, if you don’t plan well your gig. What other RPG system allow you all this? Rockopolis will be available in English and Italian. The English version will be available in the first quarter of 2019 to have time to properly translate it. Another UNIQUE feature of Rockopolis are its Muses. What’s the source from which your Character gets the Inspiration they need for all their awesome performance? What’s the biggest problem of your Character, the reason of their living on the edge? The answer is always the Muse. Music is a universal language, right? Well, here it’s a game available in English and Italian in which you are rock stars playing on quite the stage. Honestly, I want to see how they handle the music at the gaming table. That alone is interesting and worth reading this one. Ends on Mon, September 17 2018 3:11 AM EDT. NOTE: The original article is in Italian. This review is based on a Google translation. “A Game of Ucronic Role of Men and Empires beyond the Stars. Rome did not fall as history teaches. In the year 2769 aUc the Empire controls not only the entire planet Earth, but also numerous other worlds, both inside and outside our solar system. War cruisers travel for millions of kilometers using the Limes Orbitalis artificially curving space-time from the orbit of distant planets. The new syncretistic philosophy of the Logos has extinguished the religious wars. A council of Caesars from all over the world composes the Imperial Senate, presided over by only one Augustus chosen by the previous emperor for adoption. Most of the inhabitants of the Empire live a utopia of social justice, progress and peace. … what could ever go wrong …? Milites , armed! Get under the banner! Tecnolorica worn, Systemata activated … ready for the impact of bridgeheads! In the cold sidereal expanses lurks something sinister, terrifying, alien to this same Universe … but we will defend the Empire from its fearsome enemies, or we will die in the attempt! In Augusta Universalis you will be super cybernetic , armored Praetorians with exceptional reinforced armor, able to transform themselves by changing Assectums according to need! You will face fighting overtime and Missiones exploration of distant planets and unknown. Investigate the mysteries of alien civilizations vanished from eons, and face the menace of terrifying Dark Thrones , nightmarish creatures that bring death and destruction to the Cosmos. You will defend the Empire and your Caesar both from political threats that tear it from within and from enemies who would destroy it from the outside. Ready to travel beyond the known stars … for the greater glory of the Empire ?! Augusta Universalis will be a Roleplay comprehensive , containing a rich and evocative setting ucronica sci-fi, and a quick Regulation and focused on the interpretation of the character and on the ‘ identification of the player . Five different Empires: to which Guard and Imperator will you have sworn loyalty? Five different Orders: to which training have you been subjected to enter your Legion? Infinite ways to customize your Tecnolorica, the incredible cybernetic armor of the Praetorians! Clear and easy to understand game procedures . The Syncrogram , the very useful tool of the Demiurge for the management of the Missiones. Three complete adventures to start playing right away! A new science-fiction setting , a suggestive and in-depth buzz. A single necessary manual , which includes setting and complete game system. A narrative corpus of the first order , with many fascinating and suggestive stories, to help you immerse yourself in the world of Augusta Universalis ! A solid regulation , based on Destino Oscuro 2 , the same engine as the already knownNibiru Nights . Awarded with many rave reviews, Destino Oscuro 2 has already proven to involve players like never before: perfect for novices as well as for more experienced storytellers and players, with Augusta Universalis you will experience hours of adventurous entertainment! Augusta Universalis uses the system of Dark Destiny 2 , the same engine of Le Notti di Nibiru! 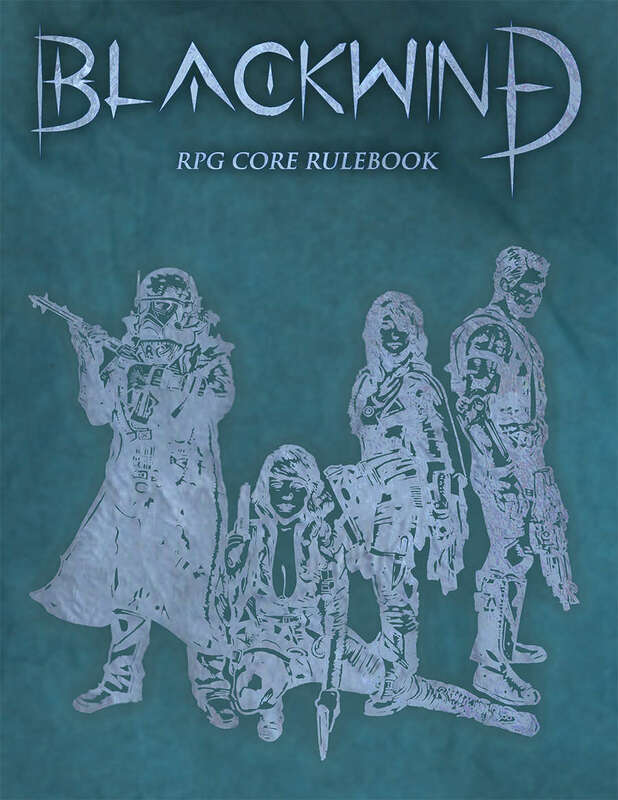 A system designed to help the Narrator (here called Demiurgo) in his task to manage and live wonderful adventures together with other players, who can identify themselves with ease in their respective characters. The Augusta Universalis engine is a rapid system that focuses on describing actions and stage situations outside and inside combat. Players will have real mechanical advantages from their descriptions and will be encouraged to make the game more enjoyable and immersive for themselves and for everyone else. You will have at your disposal a one-sided sheet for your character plus the Tabula Systemis, another sheet in A4 format on which you will manage the Systemata , the components ofTecnolorica , totally customizable and printable on Poker format cards (which function like small fillable cards ). Everything works with tests based on three key questions: what you do (the Player chooses Skill), how you do it (the Demourgo chooses an appropriate Feature based on the Player’s description), because you do it (the Player can take advantage of a series of Character resources, both emotional and training and background, to get bonuses of various kinds). Just a few eight-sided dice, the cards of the PCs, rubber and pencil and a lot of imagination!During a fight, the Symbols , typical of Destino Oscuro, will help you to immediately transform any scenic effect into mechanics into your mind! If the art and the Google translation speak to you, this game is coming sooner than later for English speakers. Ends on Wed, September 26 2018 7:42 PM EDT. “Get a digital and/or paperback copy of EVENT, a new tabletop Role-Playing Game system with innovative mechanics and a modular ruleset. I’m the main author of the Myst Role-Playing Game (not to be confused with the Cyan Inc. videogame with the same name) and the sole author of EVENT, which is the game I’d like you to support. I started playing Role-Playing Games since I was nine years old, and never stopped since: now that I’m 40 I’m still playing at least once a week with a wonderful group of experienced players, mostly being the gamemaster. We started playing together in 1997 using our very own tabletop RPG system which we spent years in developing, designing and playtesting (actually, we’re still doing all that). In 2001 we released it as Myst under GNU license (you can get it from www.myst.it), which got a lot of praises within our country, with more than 50.000 views & downloads and thousands of unique website visitors each day. it is extremely language-dependent… And it’s written in Italian, hence no one outside our contry would likely be able to enjoy it. Translating it is also out of the question, at least for the time being – considering the insane amount of content we wrote within the past 20 years, it would require a dedicated fundraising. Something simple, which – for example – I would be able to play with my kids, who couldn’t withstand complex systems (yet!). The above link points to the 30-pages EVENT manual – i.e. the full game – in ENGLISH and ITALIAN languages: you are free to view, download and play it as much as you like, as it’s licensed under Creative Commons BY-NC-SA 4.0 – which basically means that you can use it for any non-commercial purpose. Dan Davenport of #RandomWorlds hosted a Q&A with Richard that you can read here. It does an excellent job of sharing what this project is about. Ends on Thu, October 4 2018 10:01 AM EDT. “A campaign setting for 5E that is inspired by the true Norse mythology, with all its rigor, valor, darkness and mysticism. Svilland is a Norse Mythology inspired D&D 5E campaign setting; it is designed to bring the valour, brutality and drama from Norse tales to your roleplaying games. The game is compatible with 5E, but its theme and dynamics are very different than your usual high fantasy game. Sure, there is magic in this realm, a plenty of it even. Yet, it is given in a way that reflects omens, spirits, runes and Norse deities with their true forms in the mythology. In Svilland you will learn the true meaning of blood, magic, raids, and wrath of the gods. Before the last three ages of northern folks, Svilland was unknown. However, that three ages have changed the whole world and its people. They were forced to settle in a new land that is surrounded by seas, mountains and Vanir lands. It all began with the freezing of northern shores and poor harvest from farms during the first era, earlier omens of the incoming Black Winter, and Ragnarok. Then, an ice giant (jotunn) named Odd appeared, he became a cruel tyrant of northern folks. Yet, was impaled by his own half-giant brother, who was gifted with a spear from the god Balder, forged by dvergrs. Deep within the North Mountains, Odd was imprisoned with powerful runes and large chains. However, fate was cruel and when Balder fell into Helheim by the deeds of Odin’s brother Loki, the spear started to lose its power. In the beginning of second era, The High Council of seidr was assembled to prevent the Black Winter from gaining more power. In order to do that, Sami seidrs were settled down to the towers of the Ymir’s Lash. And there were two kingdoms who ruled over the mainland: Lands of the Bear King and Kingdom of Eastern Horn. Samis, however, had neither a kingdom nor an established rulership during this era, since they preferred to live in their traditional ways, following the footsteps of their ancestors. Because of its power weakening, Balder’s spear could no longer contain the might of Odd. The jotunn finally woke up, and power of the Black Winter became even greater and it kept getting stronger and stronger. The High Council of seidr could not manage to contain influence of both Odd and the Black Winter at bay, away from the south. The Bear King started to think that they could stop the Black Winter only if they sacrifice The High Council of seidr to the gods. In this belief, he marched with his soldiers one night, and sacrificed all of the High Seidr. So began the great conflict; with the seeds of hostility and discord sewn between the Bear King and Eastern Horn. The third age, which is the age the campaign setting takes place, was started with a war between Eastern Horn and the Bear King. This war divided the land – which was already politically unstable – into three parts: Green Lights of the East, the Nionaem, and the Alsvartr. Dream Realm Storytellers sent a sneak peek (here) and a press release (here) featuring their product, Svilland Saga. They’ve been exceedingly nice and have a clear vision for their Norse saga. It gives 5e a decidedly vikings feel and I can’t wait to test it out. They have a free demo book that I highly recommend! Ends on Fri, October 5 2018 5:00 AM EDT. “Take command of a spaceship and set off to discover the ancient mysteries of the Third Horizon in this beautiful sci-fi GDR! Zenith announced the dawn of a new era … and the Horizon returned to bloom. Three dozen star systems, united by Fate and the will of the Icons, advanced together towards a more radiant future. But when the Emissaries came, the happy days came to an end, and slowly the Darkness among the Stars resumed its creeping advance. Coriolis is a science fiction role-playing game set in a remote cluster of star systems called the Third Horizon. It is a place devastated by conflict and war, but also a homeland of proud, old and new civilizations. Here, the settlers of the first wave follow the dictates of the Old Cult and venerate the Icons, while the new arrivals, the Zenithians, pursue a program of imperialist annexations through trade and military power. In this game, you will be the crew of a spaceship and travel the Horizon with it. You can explore the ancient ruins of the Builders of Portals, undertake missions for the powerful factions of the Third Horizon and participate in the game of political intrigue on the Coriolis station – the center of power in the Third Horizon. You might even come across the strange presences that dwell in the darkness of space. From the Monolith in the jungles of Kua to the floating temples of Mira, the Horizon is yours: explore it. You can be merchants, explorers, mercenaries, pilgrims or agents. Whatever your vocation, together you will build your destiny. And perhaps you will also be able to discover the truth about the mysterious Emissaries and the threat of Darkness among the Stars. The Third Horizon is a series of interconnected star systems far from al-Ardha, or our Earth.Each system has portals that give access to the other systems of the Horizon. During the recent Wars of the Portals, all the portals that date back to the First and Second Horizons have been destroyed, throwing the Third Horizon into isolation and decreeing decades of decadence. Years later, the arsenal ship Zenith, which had long since been lost, came from the First Horizon. The settlers dismantled their own ship, rebuilt it as the great Coriolis space station and declared that they would begin a new era in the Third Horizon, stating that the time had come for trade, awakening and peace. Then they invited the older factions of the Third Horizon to join in a Council to begin working together to resolve the issues afflicting the people of the Horizon. Everything would have been fine if it had not been for the faceless Emissaries, who emerged from the depths of the gas giant Xene. But what were those entities ever?Specters from another world, Icons or portal builders? They claimed to be creatures with divine powers, just like the Icons, and again the Third Horizon was divided between the newcomers and the powerful old ones. Now, it is time for you and your friends to leave your mark on the Third Horizon. Your ship is your home and every spaceport is a chance to find work and adventure. You do not know it yet, but you will soon be captured by the vortex that is about to be formed. Will you decide the fate of the Third Horizon? Are you curious and want to know more about the history of the Coriolis universe? On the section of our website Wyrd Edzioni you will find many informative articles about it. The Coriolis game engine – The Third Horizon is based on the Mutant: Year Zero system , created by Fria Ligan and awarded the Silver ENnie for Best Rules at Gencon 2015. To make a skill roll, simply take as many dice as those given by the skill level of the character in the appropriate skill plus his corresponding attribute, add those given by the equipment … and pull them all together! You need at least a 6 to be successful, and the 6 additional obtained can generate critical and other bonus effects. What gives a twist to this simple procedure is something that is directly linked to the Coriolis theme: prayer at the Icons. Icons and their cult are central to the setting of the game. Praying an Icon will give you the opportunity to withdraw, but not without a price.Whenever you choose to use this possibility, the GM will get a Dark Point, which you can use for a series of negative effects in the session. Sooner or later, the icons claim what is theirs to restore the balance in the Darkness among the stars. Another main feature is the ship’s development system. The spaceship of the characters is the focal point of their adventures, it is their home that must be defended, repaired and developed. The game offers a complete and innovative system for spaceship combat. Each character has an important role to play and teamwork is truly rewarded. Here are some spectacular images of the Coriolis science-fiction universe. Coriolis, Game Guide, about 400 color pages with everything you need from players and Game Masters to create your own heroes, face the dangers of space and experience the unique experience of an incredibly realistic SF setting. Emissary Lost, Game Campaign, about 300 pages in color. The first part of an Epic Campaign in which the characters will be involved and will face a vast conspiracy that threatens the stability of Coriolis and, ultimately, that of the entire Third Horizon. Emissary Lost is composed of two scenarios. The first, The Awakening of the Martyr, takes place in the huge space station of Coriolis, while the second, The Kuan Connection, will land the characters on the surface of the planet Kua, between the deep jungles and violent policies of the Zenithian colonies in search of answers to the shadow of the Monolith. Wyrd Edizioni, one of the first publishers in Italy for role-playing games, has dozens of titles and lines in active, which you can see at the official website www.wyrdedizioni.com under ‘Our Games’. Among the most important for the international scene, Numenera, The Strange, 13th Age, Mouse Guard and Shadow of the Demon Lord. He already has three highly successful and popular Kickstarter, such as Shadow of the Demon Lord, Trudvang Chronicles in the New Universes of the Cypher System. This campaign will fund a translation/localization of Sweden’s Coriolis, which uses the Mutant: Year Zero system (as does Tales from the Loop). Distribution is limited to Italy (I’m assuming they’re only able to license certain territories). Coriolis has already been translated into English (here) so this is not the precursor to an English edition. Ultimately, this fits this week’s theme but if you’re outside of Italy, this game is available in other languages/forms (and it’s worth checking out). Tagged Acchiappasogni, Augusta Universalis GDR, BlackStar Games, Blackstar: Death & Decay Creature Codex, Coriolis RPG, Dream Realm Storytellers, EVENT - A Minimalistic Tabletop Role-Playing Game (RPG), Kickstarter, Minòs Games, Rockopolis RPG, Svilland: A Norse Mythology themed Campaign Setting for 5E, WMS Publishing, Wyrd Edizioni.